Interior Secretary Ryan Zinke broke no rules and provided no special favors in his decision last year to reduce the area of the protected Grand Staircase-Escalante National Monument in Utah, the department’s watchdog has determined. Environmental advocates had accused Zinke of catering to the financial interests and influence of Utah state Republican House member Mike Noel, a critic of federal land use policy who owns land near the monument. The Associated Press on Monday night reported that acting Interior Department Inspector General Mary Kendall—who is also investigating Zinke on several ethics fronts—sent a letter to Deputy Secretary David Bernhardt saying her staff had found no evidence of preferential treatment in this part of the larger Trump administration decision to open more Western lands to development. “We found no evidence that Noel influenced the DOI’s proposed revisions to the [monument’s] boundaries, that Zinke or other DOI staff involved in the project were aware of Noel’s financial interest in the revised boundaries, or that they gave Noel any preferential treatment in the resulting proposed boundaries,” Kendall wrote in the summary published by the Washington Post. Under the IG’s procedures, the entire report went to the deputy, and the cover letter of transmittal was then obtained by the AP. The IG’s office on Wednesday told Government Executive that the actual report will be published on Dec. 27. 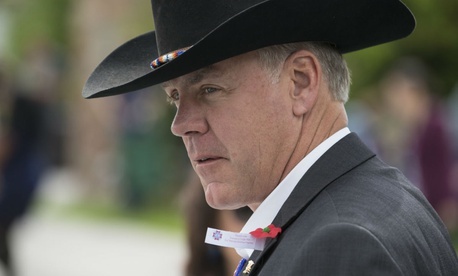 Zinke has long denied the accusations. The report “shows exactly what the secretary’s office has known all along—that the monument boundaries were adjusted in accordance with all rules, regulations and laws,” an Interior spokesman told the AP. The report “is also the latest example of political opponents and special interest groups ginning up fake and misleading stories, only to be proven false after expensive and time-consuming inquiries by the IG’s office,” said spokeswoman Heather Swift.